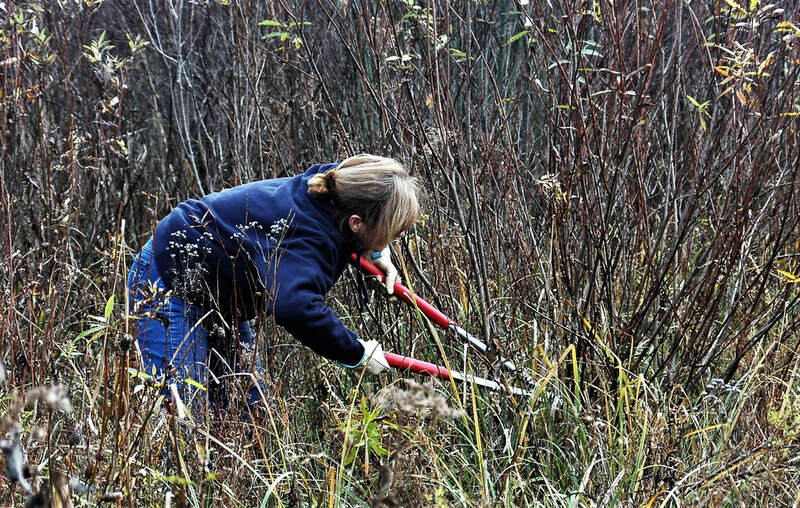 On Wednesday, November 14th, 10 ONAPA volunteers and 3 DNAP staff worked together at Karlo Fen SNP to remove invading woody species in the fen meadow. This small fen, a remnant of a much larger wetland complex, harbors several rare plants which require open fen meadow habitat. 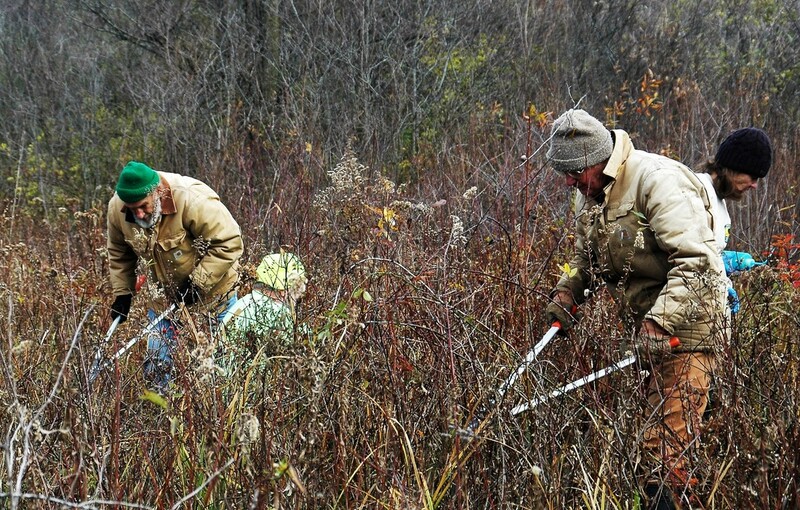 The group cut and treated glossy buckthorn, some willows, dogwoods, autumn-olive, and multiflora rose to maintain the open meadow. 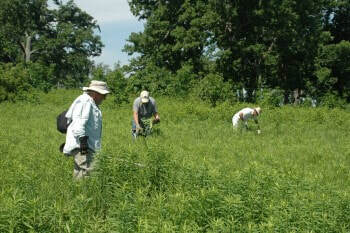 Volunteers were careful to avoid poison sumac in this meadow. 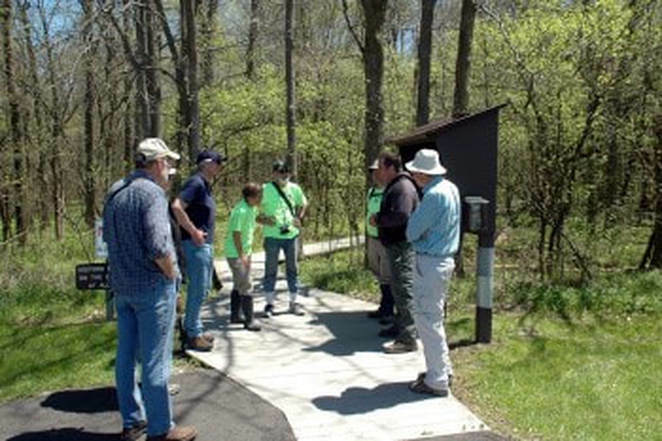 The preserve is managed by Summit County Metro Parks, however ONAPA and DNAP assist with the ecological management. 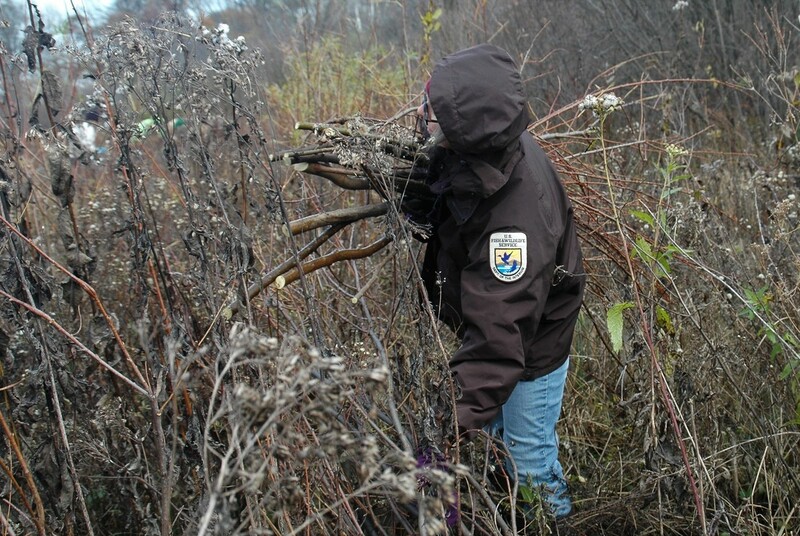 On November 8th, eleven (11) ONAPA volunteers worked with 2 DNAP staff and 2 USFWS staff to cut and treat woody species at the Medway prairie fringed orchid site near Dayton. ONAPA has been helping to restore the open fen meadow here for several years and we are making great progress. 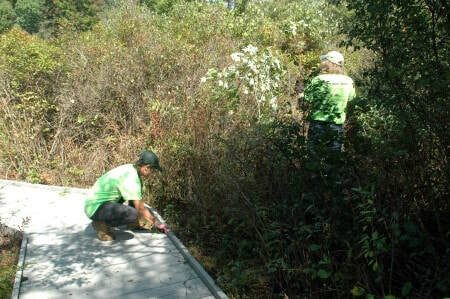 Volunteers cut and hauled primarily dogwoods and willows; then the cut stems were treated with herbicide to prevent re-sprouting. Let's hope for a good response from the orchids next year! 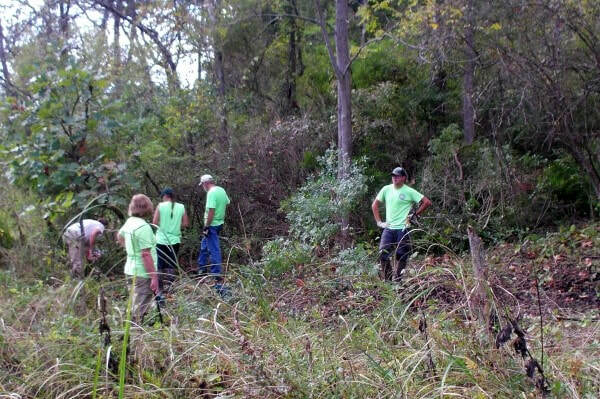 On Saturday, October 20th, ONAPA partnered with the Killbuck Watershed Land Trust (KWLT) to assist them with habitat management at Brinkhaven Oak Barrens in Holmes County. 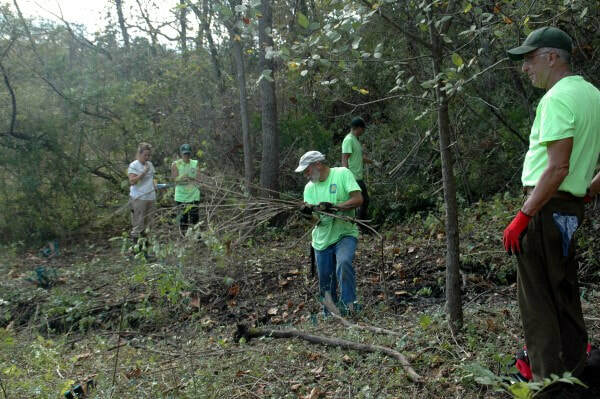 ONAPA has been helping KWLT for several years to restore the two oak barrens by controlling woody species invasion. 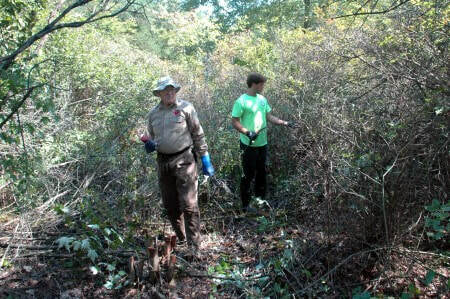 Eight ONAPA volunteers worked with 8 KWLT volunteers in the south barrens, cutting and treating sumac, hazelnut, and other woody species. 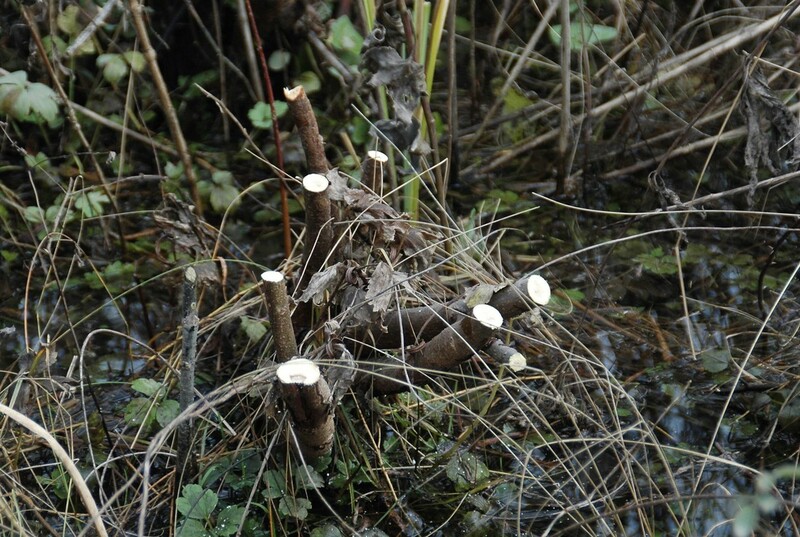 The cut stems were treated with herbicide to prevent re-sprouting. 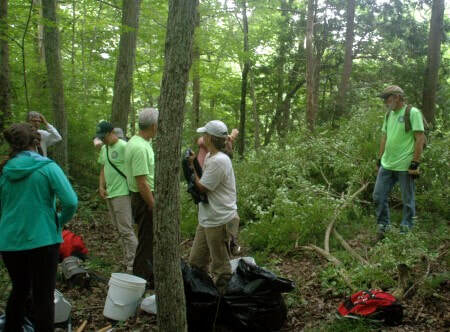 ONAPA volunteers will continue to work with Randy Carmel, KWLT president, this fall to cut and treat sumac as it expanded greatly this summer due to the wet weather. 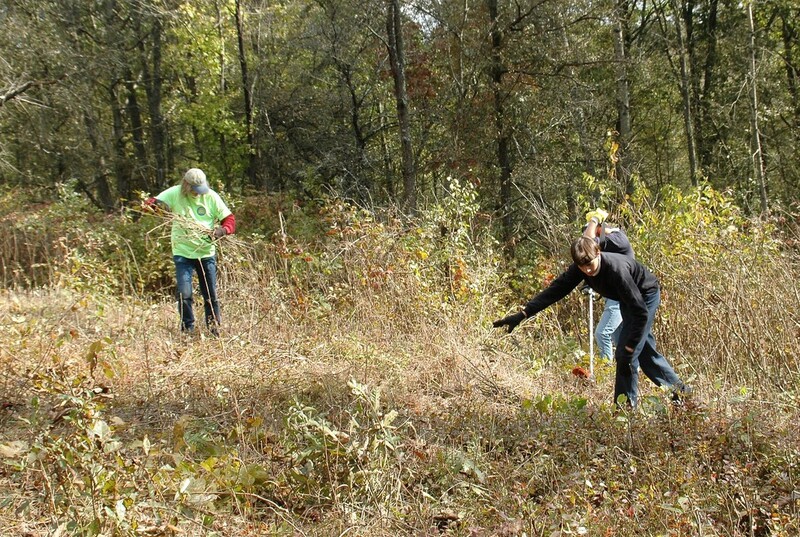 ONAPA had a good day at Gallagher Fen SNP on October 9th conducting stewardship in the east fen and on the hillside. Five ONAPA volunteers worked with 3 DNAP staff to cut and treat invading woody plants on the hillside and the east fen meadow. It was rewarding to remove thickets of glossy buckthorn and privet along the edge of the east fen, opening former sedge meadow habitat. 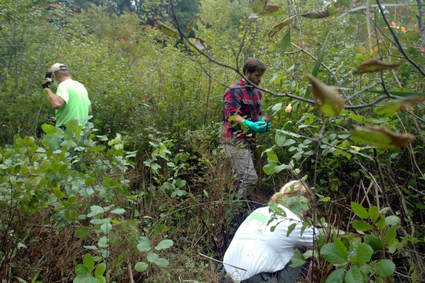 On Wednesday, September 19th, 6 ONAPA stewardship volunteers worked with 3 DNAP staff and approximately 20 Kent State University local flora students at Kent Bog SNP to remove invasive woody plants in the bog community. 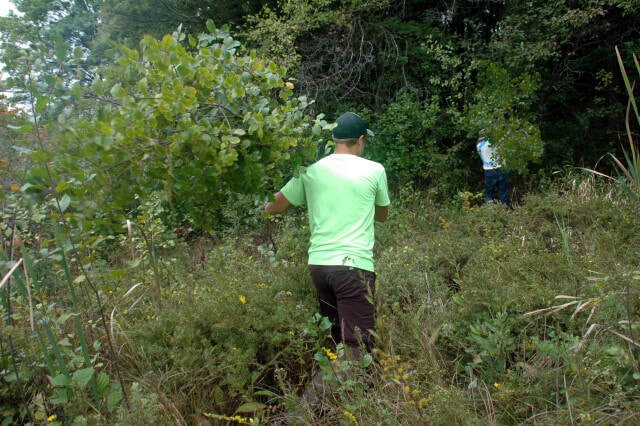 This included pulling invasive glossy buckthorn seedlings, as well as cutting and treating larger buckthorns and red maples invading the bog. 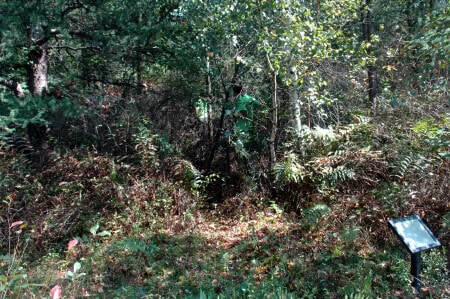 While the bog is dominated by woody vegetation now, including highbush blueberry, tamarack, winterberry, leatherleaf, and other typical woody bog species, it is important to remove other invasives to maintain the native bog vegetation. A few small meadows remain with rare species, such as small cranberry and tawny cotton grass. 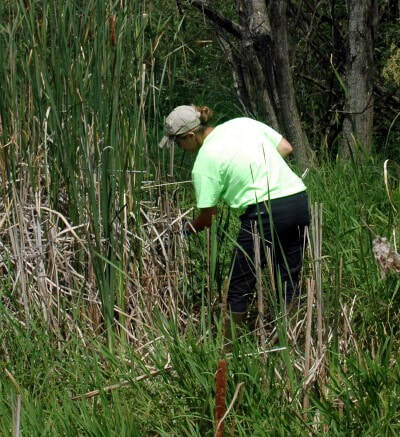 On Tuesday, July 24th, 10 adventuresome ONAPA volunteers worked on a hot day with 3 DNAP staff, including preserve manager, Ryan Schroeder at Springville Marsh SNP to control narrow-leaved cattail and woody shrubs invading the sedge meadows along the boardwalk. 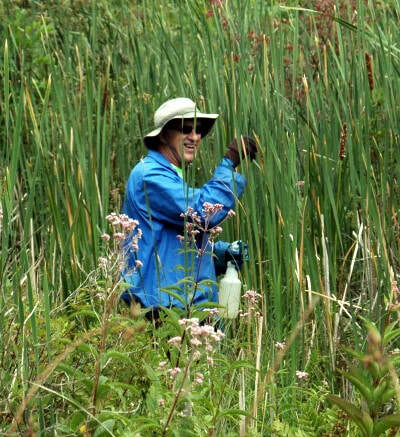 Hand-wicking cattails is a tedious job, yet effective at selectively controlling cattails. 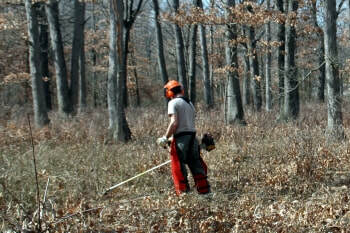 Woody shrubs such as dogwoods in the meadows were cut and treated with herbicide. 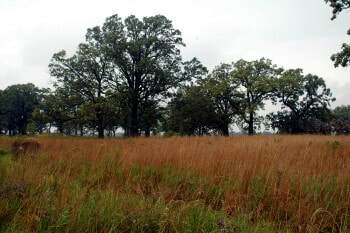 This important habitat management helps to maintain the native plant diversity in the remnant sedge meadows. 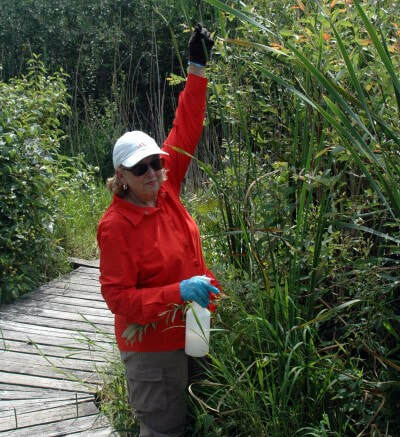 ​On Saturday, July 7th, 11 ONAPA volunteers and 2 DNAP staff including preserve manager, Charlotte McCurdy worked at Jackson Bog SNP for about 4 hours to remove purple loosestrife and woody, invasive species in the fen meadows along the boardwalk. 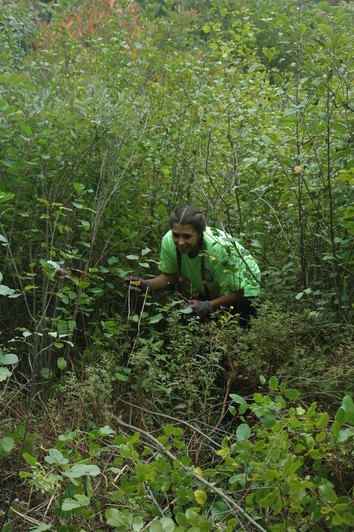 We pulled 7 large bags of purple loosestrife and worked in most of the fen meadows to cut and treat (with herbicide) invading woody species, such as common and glossy buckthorn, privet, and autumn-olive. There is plenty more to do in these meadows, but we made great progress! 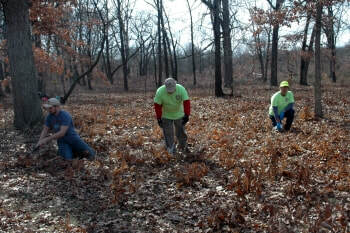 On Saturday, June 23rd, 10 ONAPA volunteers and Crawford County Park District Director, Bill Fisher, worked at Daughmer Savanna SNP to control common teasel and other invasive plants in the savanna. We were happy to see the results of the spring burn as the grasses and other prairie species responded well. The savanna is looking great and many species are blooming! 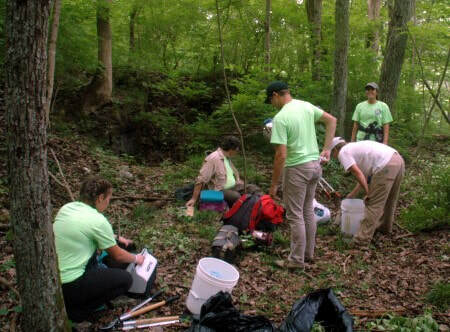 On Tuesday, June 5th, 14 ONAPA volunteers worked with preserve manager, Michelle Comer at Clifton Gorge SNP to remove invasive woody shrubs, as well as some garlic mustard and Dame's rocket. 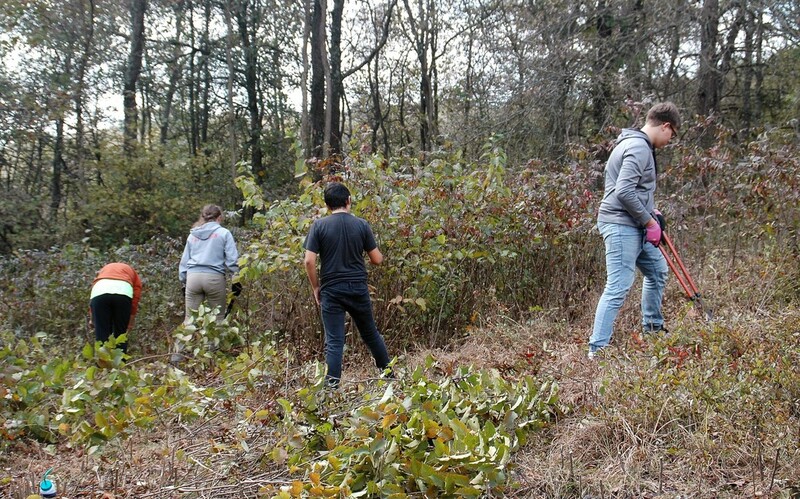 The group worked on the scientific side of the preserve where there are a number of rare plants, so it is particularly important to remove the invading woody shrubs there. 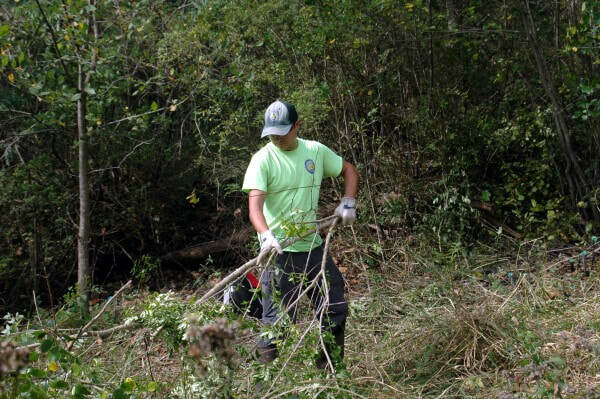 The group got a lot of work accomplished and was fortunate to avoid thunderstorms in the area. 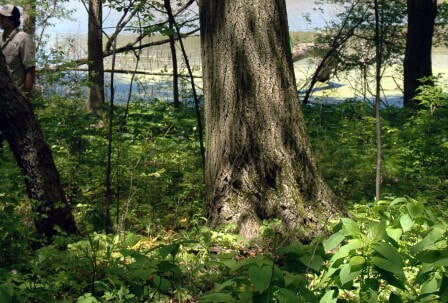 It was a beautiful day at Sheldon Marsh on Wednesday, May 23rd. 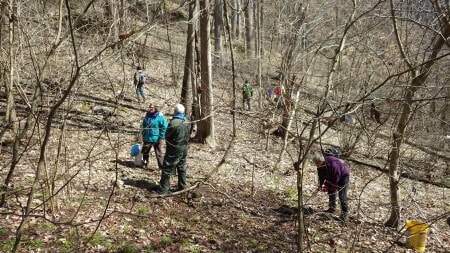 Fifteen (15) ONAPA volunteers and 4 DNAP staff worked together to pull garlic mustard in the woods, where there were scattered plants almost going to seed already. 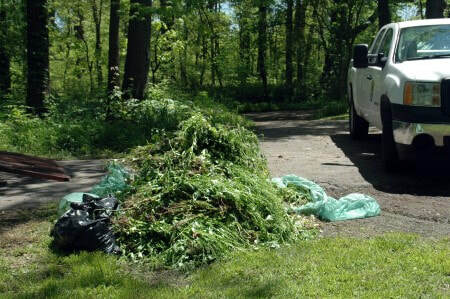 We pulled enough to make a large impressive pile (shown in the photo). 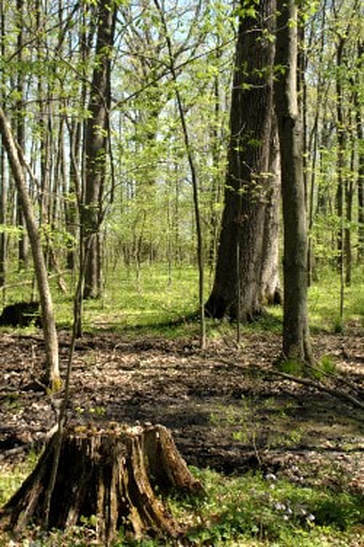 We also got to hike out to the large American chestnut tree and beach area, so it was a successful day. The wildflowers were spectacular too. 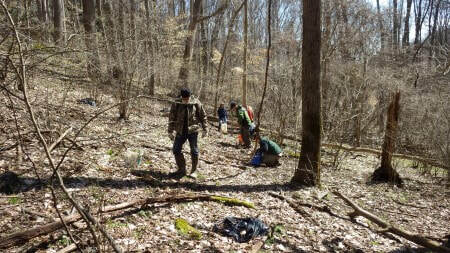 On Tuesday, May 8th, 14 ONAPA volunteers and preserve manager, Ryan Schroeder scouted various parts of Lawrence Woods SNP searching for garlic mustard and pulling it when found. 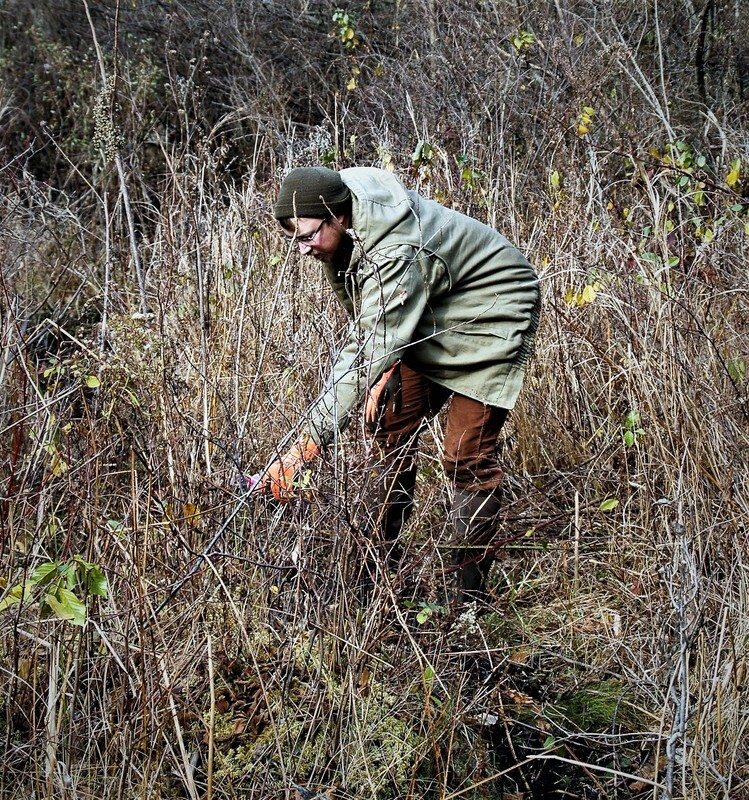 We spent about 3 hours searching for garlic mustard and fortunately did not find a lot in the interior, although larger patches were found in the younger woods and along the edges of the woods. We also went on a hike with Ryan along the boardwalk loop, looking at spring wildflowers and birds, pulling any garlic mustard along the way. We saw the rare heart-leaved plantain (Plantago cordata) in bloom along the boardwalk. 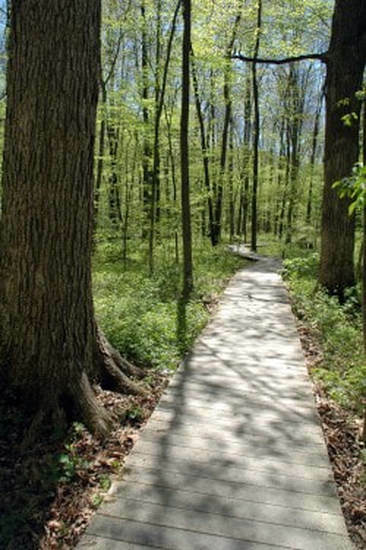 It was a beautiful day in Lawrence Woods! On Wednesday, April 25th, 10 ONAPA volunteers and preserve manager, Josh Deemer searched for garlic mustard at Lake Katharine SNP. 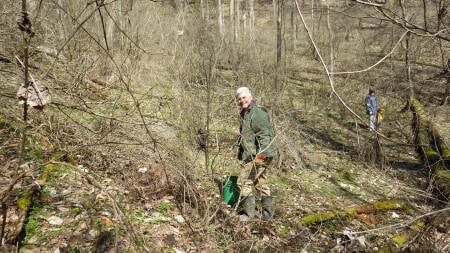 We walked for more than 3 hours in areas we had pulled garlic mustard last year and pulled only one bagful. While the volunteers were disappointed not to pull more, Josh was excited that there was less to pull! Maybe our work in the past is paying off or maybe garlic mustard is just down this year. 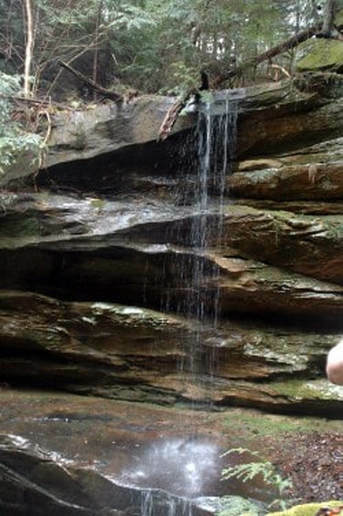 Either way we had a good time, enjoyed the spring wildflowers, and Josh took us to a beautiful waterfall after our garlic mustard survey. 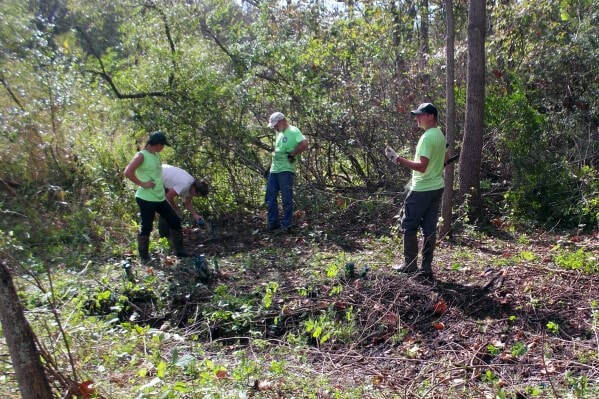 On Thursday, April 5th, 13 ONAPA volunteers and 2 DNAP staff worked together at Rhododendron Cove SNP to pull garlic mustard. 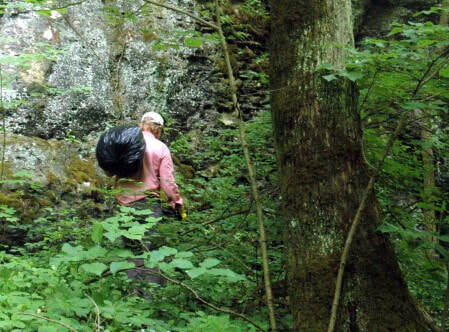 This continued work that ONAPA helped with last year to remove garlic mustard that is competing with the native spring wildflowers on the slopes below the rhododendron. On January 24th, 6 ONAPA volunteers assisted DNAP with a hemlock wooly adelgid (HWA) survey at Sheick Hollow SNP in Hocking County. 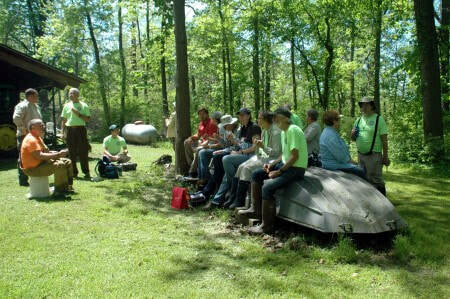 We learned about HWA and fortunately did not find any at Sheick Hollow yet. 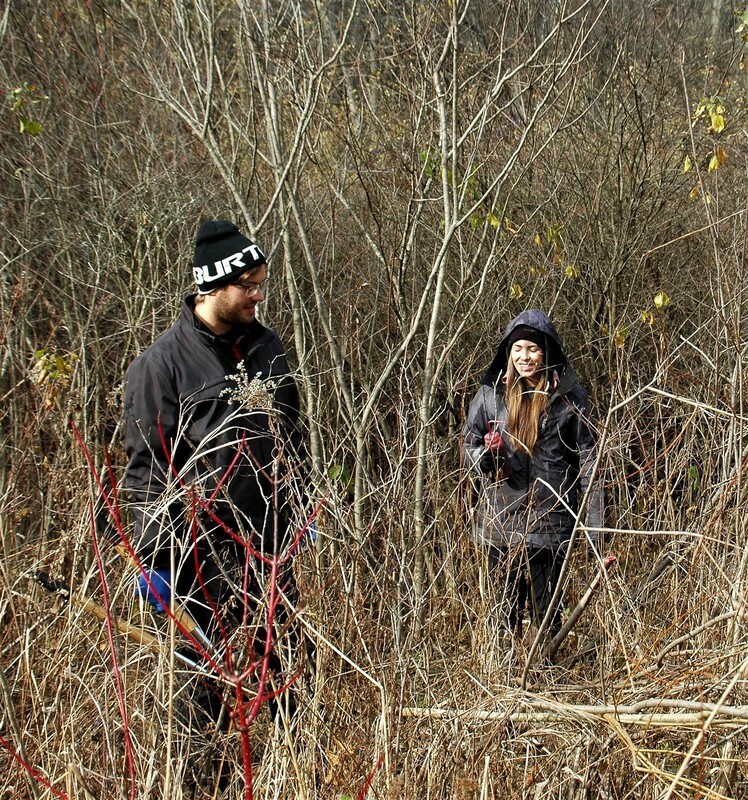 On February 6th, 4 ONAPA volunteers assisted DNAP and USFWS by cutting and treating woody species at the Medway Prairie Fringed Orchid site in Clark County. 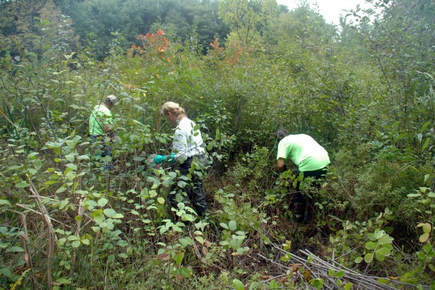 This is a continuation of our work to help open the meadow back up for the orchids. 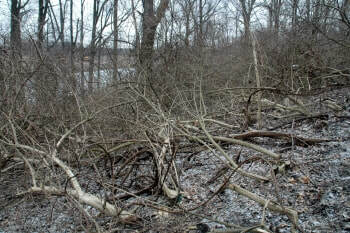 On February 27th, 4 ONAPA volunteers assisted Division of Wildlife and USFWS staff by cutting and treating woody species at Meilke Road Savanna Wildlife Area in Lucas County. 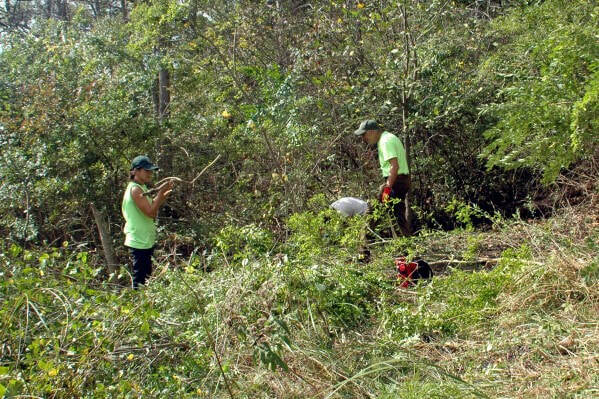 This also continues our work here to open the savanna understory to improve habitat for rare plants and butterflies. 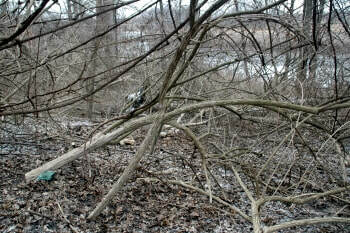 On March 14th, 4 ONAPA volunteers assisted the Cleveland Museum of Natural History and DNAP by cutting and treating large bush honeysuckles along the edge of the marsh at ​Mentor Marsh SNP in Lake County. 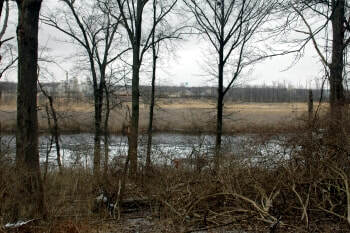 This area will be used for access to the marsh and possibly for an observation deck in the future. 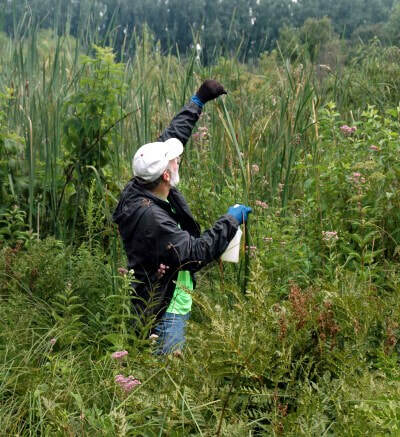 The official season for stewardship projects will begin on Tuesday, March 27th at Rhododendron Cove SNP in Fairfield County for garlic mustard control - we hope to see you there! 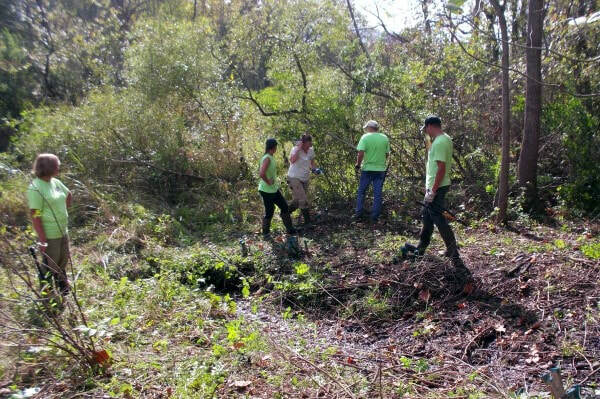 On Tuesday, January 9th, nine ONAPA volunteers and two DNAP employees, Rick Gardner and Charlotte McCurdy, worked on the bog mat at Bonnett Pond Bog SNP clearing shrubs. This was a follow-up project to the one last November as we could not access the bog mat unless the water was frozen. 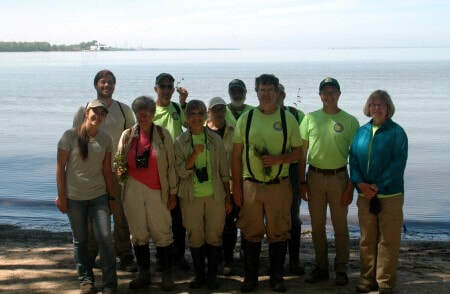 It was a beautiful, sunny day and all 11 people had a great time cutting and treating woody species, including poison sumac! It was exciting to see large cranberry, round-leaved sundew, and other bog plants, even in the snow. 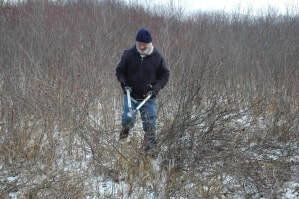 The sphagnum bog mat has been encroached upon by highbush blueberry, poison sumac, winterberry holly, and other native woody species, so it was an excellent opportunity to work on the bog mat when the water is frozen. Although there is still more to clear, we got a lot accomplished and look forward to seeing the results later this year. 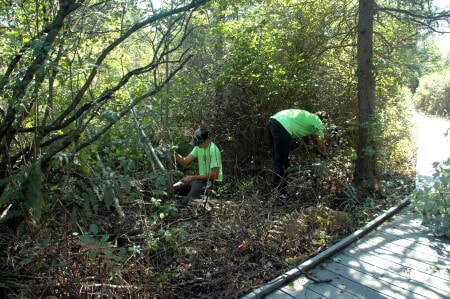 It was another successful stewardship project and a great start to the year! 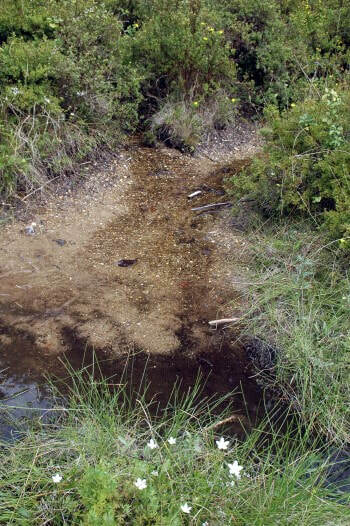 Medway PFO site - February 6th (rain date of February 13th) - for details and to signup click HERE. Meilke Road Savanna WA - February 27th (rain date of February 28th) - ​ for details and to signup click HERE.